Exclusive! As striking and beautiful as real butterflies. 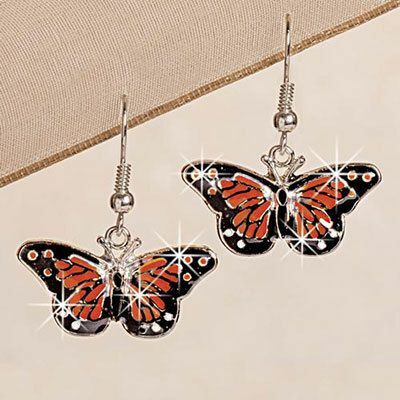 These vivid, enameled 3-D earrings bear the markings of regal Monarchs. Vibrant coloration and realistic metal-work shape. French wires. 1¼"l. Hurry! Quantities are limited!